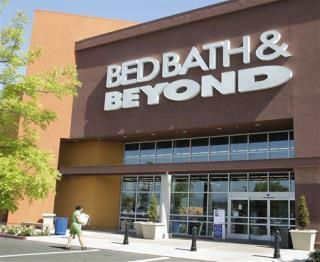 Bed, Bath and Beyond my budget! Haven't been to a BBB in years. Once in a while I used to find a unique product like a wall stencil that I'd snap up, but the bed and bath stuff was just same-old, same-old with no particular quality or price benefit. Frequently the size or quality of product I'd seen advertised was out of stock. I finally got it when I noticed all the random junk stuff lined up near the registers. This was not a specialty store, it was simply an unloading joint for unsold merchandise. Now I buy online. Overstock.com and Amazon have everything I want and I don't have to make fruitless visits to brick-and-mortar stores. Hey, this is America. Capitalism and competition. You snooze, you lose. BBB has been snoozing, and its day has come and gone. They have always been overpriced. You can find the same quality for less in many other stores. So what's the surprise here?